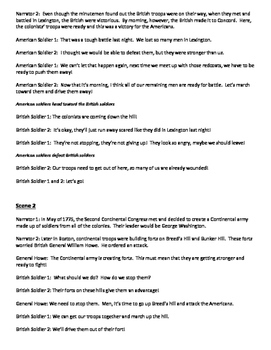 This play summarizes the major battles and events of the American Revolution. 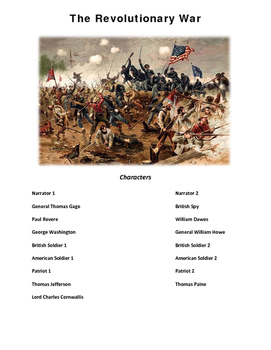 Characters like General William Howe, George Washington, Lord Cornwallis, Thomas Jefferson, Thomas Paine, Paule Revere, and others appear in the play and act out the battles and happenings of the Revolution. 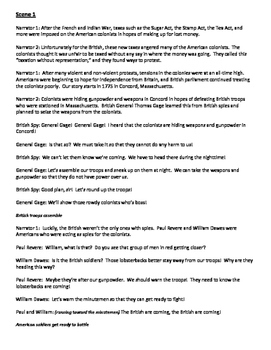 This is an in-depth play that will help students wrap their heads around the many parts of the revolution in a fun and slightly humorous way. 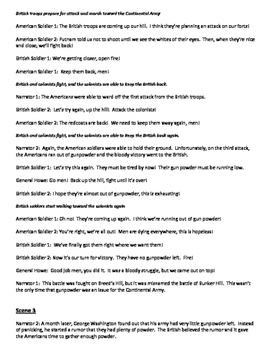 The play has 17 parts, but the narrator parts can easily be broken up to create many more parts. The play is 9 pages long and the script includes lines and some brief stage directions for acting reference.